Thousands of books have been written about the latest and greatest diets that will help people lose weight and improve health. But a key element in any successful nutritional health program is a tried-and-true method that most people haven't thought about. This ancient secret is fasting. 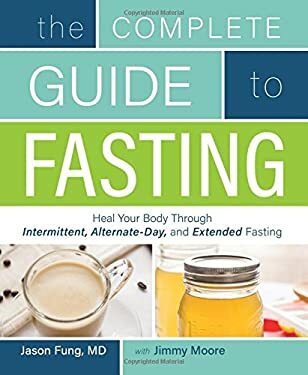 In The Complete Guide to Fasting, he has teamed up with international bestselling author and veteran health podcaster Jimmy Moore to explain what fasting is really about, why it's so important, and how to fast in a way that improves health. New (477 available) BRAND NEW. Over 1.5 million happy customers. 100% money-back guarantee. Make your purchase count: support Better World Books' worldwide literacy partners.